Celebrate your Scottish heritage or your love of all things Scotland. 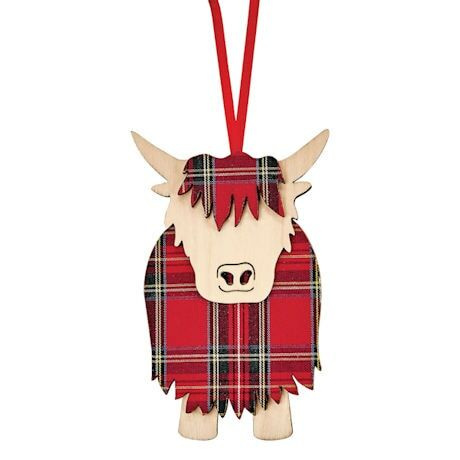 Hamish the Highland Cow (CX2646) sports the red and green Royal Stewart tartan. 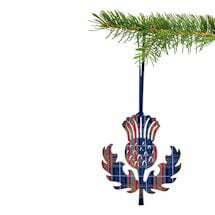 The Thistle (CX2626 - sold separately), Scotland's official emblem, shows the purple heather Royal Stewart tartan. 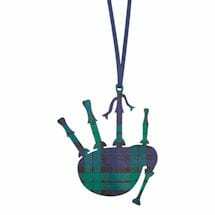 The Bagpipes (CX2636 - sold separately) wear the Black Watch green and blue. Each ornament is MDF or plywood, about 4" high. Made in the UK.